Hello friends. 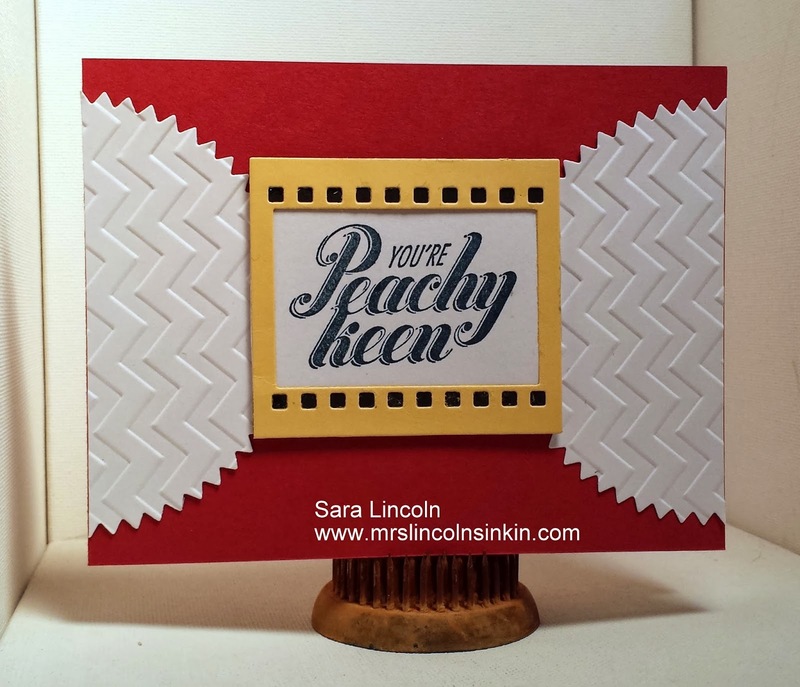 Quick post today showcasing the Peachy Keen stamp set as well as other items that are available right now in the Occasions Mini Catalog. Lately i have been making cards where i mainly use items only from the new Mini. Not really meaning too, but all of the items in the Mini are amazing and i just find myself reaching for those things. The card stock that i used for my base was the Raspberry Ripple, i think it is just such a pretty color! Then, i used the Whisper White and the Starburt Framelits, ran those through my Big Shot and my Chevron Embossing folder to give them some texture. The vocal point of my card is the frame that comes from the On Film framelits which is using the So Saffron. Don't you just love it? With my being a scrapbooker i just LOVE this set with the little camera. 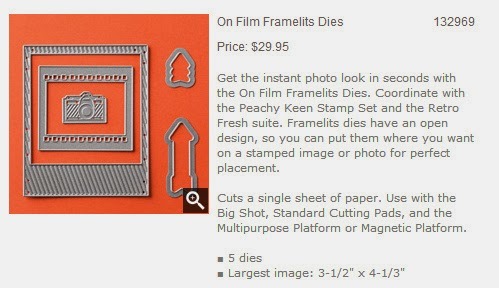 There is an On Film framelit set too. It doesn't coordinate with this set really but i thought i would give you a closer look anyway!!! Plus it's what i used to get the "film" strip piece that i used for my vocal piece. I LOVE the old photo framelit! !